Copper is next to useless in anticipating future economic developments. Conversely, if copper prices decline, that’s a sign that the global economy is losing steam: Lower prices mean faltering demand, which in turn implies that less of the metal is going into capital investments. It’s also a symptom of speculators’ declining faith in the future. They’re no longer as eager to lock up supplies of an essential ingredient in modern industry. 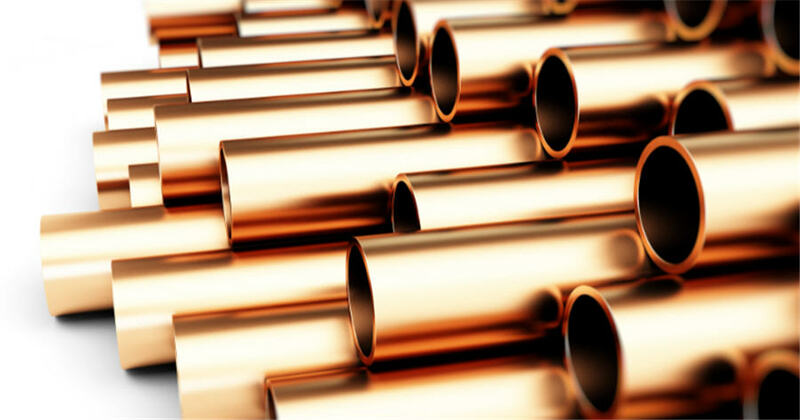 That’s the theory, and over the past few decades, this notion has hardened into conventional wisdom, with periodic news articles highlighting the predictive powers of copper prices. And as those prices have formally entered a bear market this past week — a year-over-year decline of 20 percent — we’re hearing more and more of this kind of talk. The global economy may well be headed for a serious downturn. But copper prices are no more indicative of that outcome than sunspots or any of the other forms of modern-day capitalist divination. In fact, the argument that copper prices anticipate future economic activity rests on an exceedingly selective reading of historical data. When you pull back and look at copper prices in relation to economic expansions and contractors, the argument doesn’t hold up. Take, for example, the deep history of copper prices relative to recessions. The best data set for the earlier years covers the wholesale price of copper wire in New York from 1901 to 1951. There is often, though not always, a pattern of copper prices rising as economic expansions gather steam. Likewise, copper prices often — again, not inevitably — decline during recessions. But looking at this data, it’s hard to find any evidence that copper prices nosedive in advance of downturns in the business cycle. In this particular data set, copper prices are a coincident economic indicator. But they’re not particularly reliable as indicators in the more distant future. Perhaps that earlier data is anomalous. What of the rest of the postwar era? Take the prices of scrap copper from 1957 to the present. Here, too, there’s scant evidence that copper has much to offer in the prediction department. If anything, the correlation between copper prices and future economic activity is even more confusing. For example, copper prices fell 42 percent in the months after April 1966. Surely a recession was imminent, right? No. In fact, after hitting a trough in the spring of 1967, copper prices then went up … and continued going up during the recession that finally did hit in 1970. It’s possible to find numerous “bear” markets in copper, with price declines over 20 percent. In most of those cases, no recession followed. If anything, copper prices more consistently rose in advance of recessions, and continued rising during the economic downturn. This was true for recessions that began in 1970, 1973, 1980, 1990 and 2008. Why might this be the case? One study of commodity prices found that copper prices are sensitive to positive news about the economy, but much less sensitive to negative news. That may help explain why copper prices continue rising even as the economy enters recessionary territory. But it doesn’t explain everything. After all, copper prices fail to follow a consistent pattern as the nation’s economy comes out of a recession, either. Sometimes copper prices remain flat; in other cases, they decline as the economy gathers strength. After the recession of 2008 came to an end and the economy began its slow recovery, copper prices initially went up significantly, and then went back down again as the economy gathered steam. Why does the price fluctuate in ways that defy conventional wisdom? Part of the answer almost certainly lies with supply, not demand. Copper mining isn’t a modest undertaking, and mining and smelting operations launched at one point in time may take years to come up to full capacity. In other words, optimism about copper’s future — and in turn, more copper production — doesn’t track the economy in real time. When the supply finally materializes, it may or may not be needed. In recent years copper prices may also reflect the outsized influence of China, which consumes almost half the world’s supply of the metal. In the past two decades, China has underwritten massive economic expansion at precisely the moment when many countries have remained mired in recession. That government-sponsored boom may have artificially inflated demand for copper after the Great Recession, accounting for the peculiar spike in demand in the immediate wake of the crash. All of which is to say that, yes, copper is essential to the functioning of the global economy. It has many uses. But foretelling the economic future isn’t one of them.